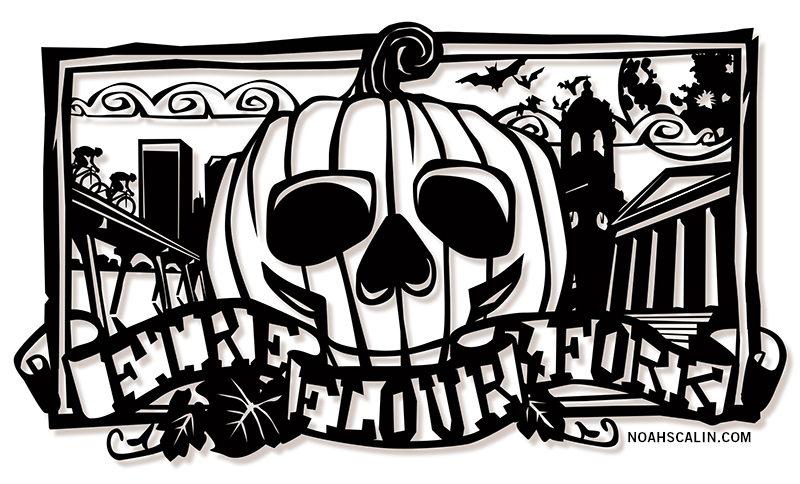 I was commissioned by Real Richmond to create a piece of artwork for the Halloween portion of their Fire, Flour & Fork event this year. 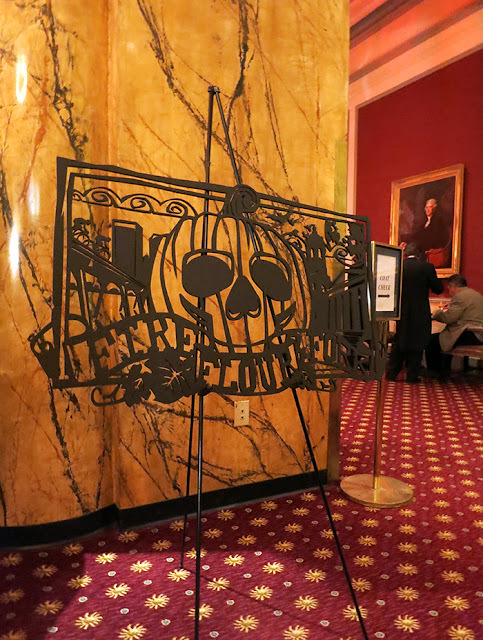 I created this papel picado style illustration to be used on all of their marketing materials at the Beaux Arts Ball held at The Jefferson Hotel on Halloween evening, which also happened to be the 120th anniversary of its opening! 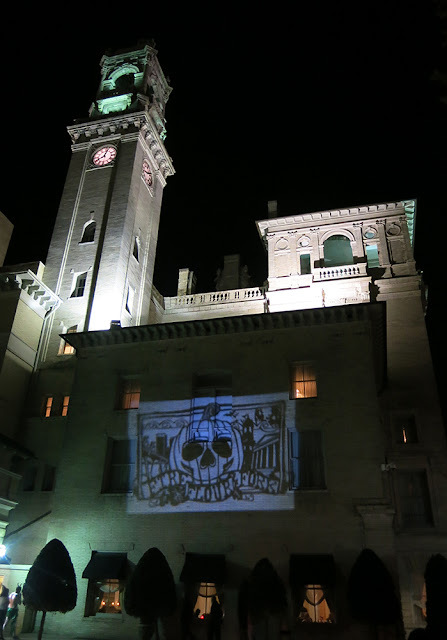 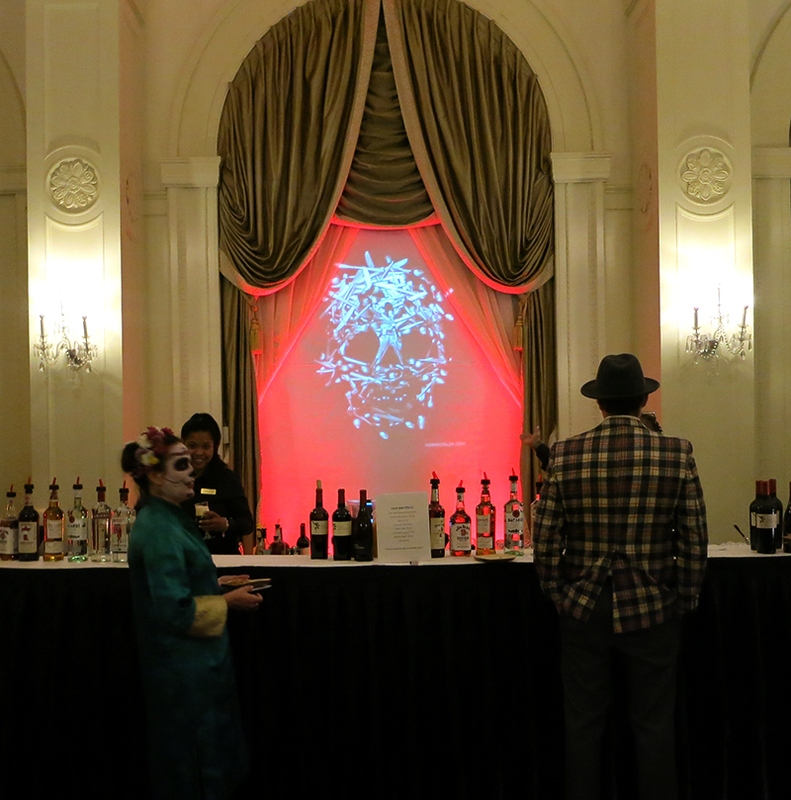 As well as being used online and in print, my image was also projected onto the hotel itself and used as decoration inside the lobby. Some of my other work was also on display as projections in the space!